Use our workstation checklist to get some ideas on places you might be able to make improvements to your work space set-up. NO answers mean you may need to make some adjustments or modifications, or install some new equipment. YES answers mean your workstation set-up should be a pretty good set-up. If you need addition help, feel free to contact us, or read more and see visuals on our Neutral Postures page. Does the chair fit you (not too large or too small)? 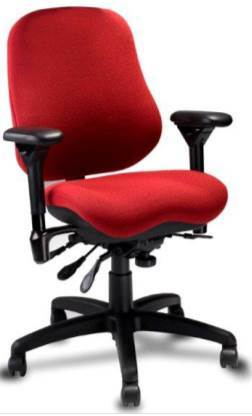 Do you know how to adjust all your chairs' features? Is the top of your screen at or slightly below eye level? If multi-focal eyewear user, is top of your screen below eye level to maintain neutral neck posture? Is the primary monitor directly in front of you? Is the monitor about an arms' length away from you? Is the monitor and work surface free from glare and reflections? If so, are they both at the same height? Do you use a laptop to do your work? 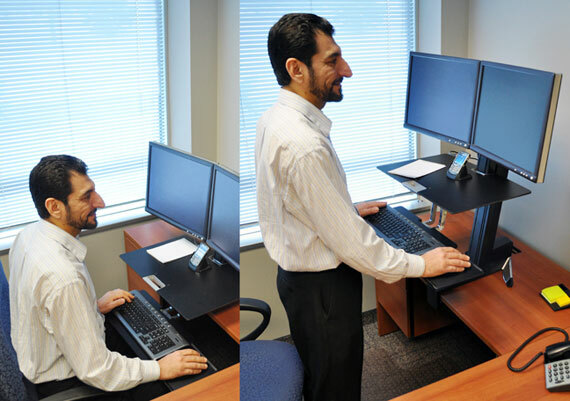 If so, are you using a laptop stand to bring the height of your monitor up to eye level? Is the keyboard directly in front of you? 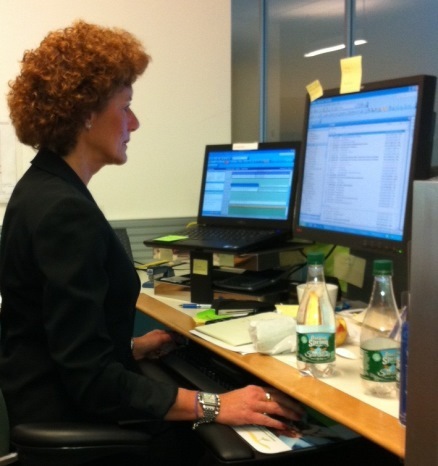 Is your keyboard close enough that your elbows are resting at your sides? Do you have wrist support on the work surface edge? Are your forearms and hands straight? 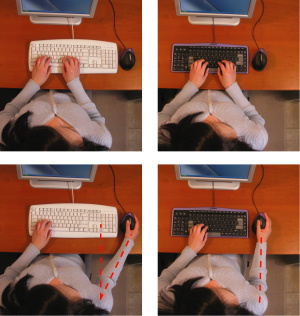 Is your mouse at the same level and placed next to the keyboard? Are your forearms and hand straight and /or negatively sloped? If you refer to documents extensively, do you have a document holder that is located in front of you between the monitor and keyboard? Are your feet supported by the floor or a footrest? If phone is used extensively, are your head and neck straight? Are frequently used items (such as phone, binders, etc.) within an arm's length and below shoulder height? 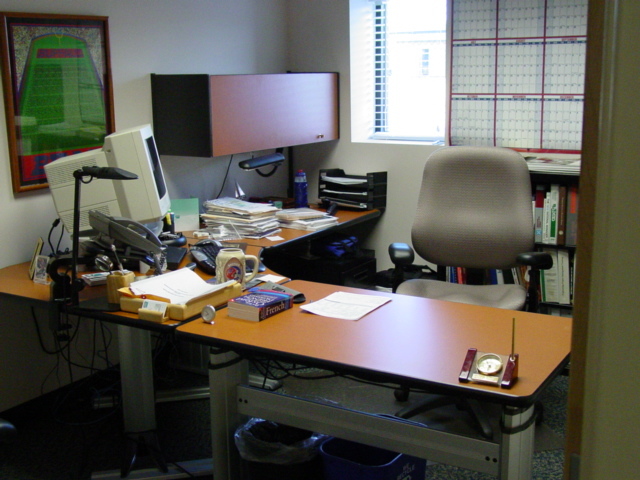 Do your desk and overhead cabinets allow for sufficient clearances?